XKG Ridge Pants are a performance fitting pant - if you're in-between a size, we recommend buying a waist size up. The XKG Ridge Pant is designed for performance, comfort, and durability and is the highest performing lightweight pant in our XKG Series. 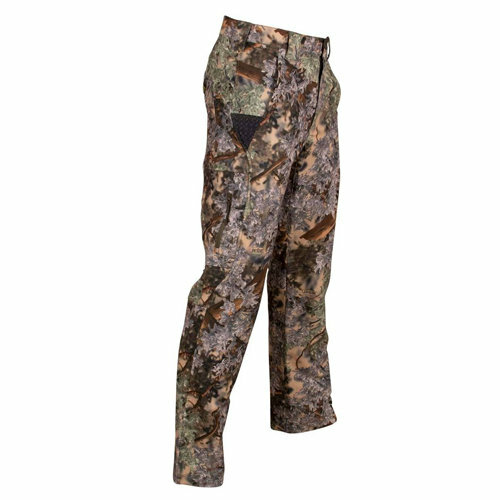 With four-way stretch polyester, water resistant treatment, and superior breathability, we built this pant to be a highly functional piece during every phase of the hunting season. It is equipped with articulated knees for comfortable walking, grip strip waistband, reinforced pockets for knives, snapped cargo pockets for secure storage, and roll up pant snap loops to keep your pants dry while crossing streams or to stay cool during the hot early season months. The XKG Ridge Pant comes in Desert Shadow® & Mountain Shadow®, Realtree Edge®, Dark Khaki and Charcoal and is the core for building your XKG system.